This really breaks my business coach’s heart. When people start their business, they know that they ‘need a website’ so they build one (possibly really badly) or have one built for them. And unfortunately most of them think that once the website is ‘up’, the sales will just happen. When they realise that a website is just a tool and the real work starts when you publish your website, the whole world comes crushing down. 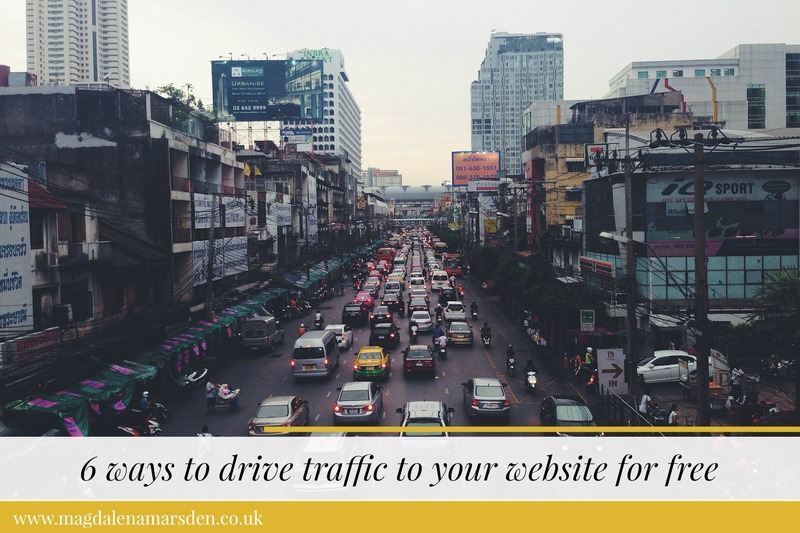 I’m sure I had the same naive idea at the beginning, but to save you some time and even get you that first sale, here are 6 ways to drive traffic to your website for free. 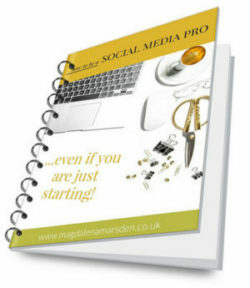 At the beginning, no matter what you do, your social media profiles will always rank higher than your website. So, it’s worth to embrace social media right from the start. Choose social media that your ideal customer is using, but also choose the one that you actually enjoy participating in. 2-3 social media platforms that are properly used are better than 5 scarcely used. This one is easy to implement, but so effective. By adding share buttons to your website you allow your visitors to share your content directly on their social media or by e-mail. This is very powerful, because every time somebody shares a piece of content, it’s usually shared with an engaged audience. For example, if you have a baking blog, your recipe for chocolate cake is likely to be shared by somebody who likes chocolate. They also might share it with their friends who the person knows also like chocolate cake. Even if some of the friends are not bothered about chocolate cake, they might still look up the link, because it was their friend (who’s judgement they trust) who shared the original content. This one is so basic, yet so many people don’t actually do it. Make sure you add your website URL in your email footer, your social media profiles, on your business cards and anywhere you are online. Sending regular e-newsletters to your customers and potential customers is a great way of getting people back to your website. Make sure you have a subscribe button on your website, ideally in several places, so it’s easy for people to subscribe. Start writing your newsletters straightaway and send your newsletters out regularly. Frequency is up to you and it depends on your business type, your customers and what you can realistically fit into your busy schedule. Think quality over quantity and adjust the frequency based on the response you get. 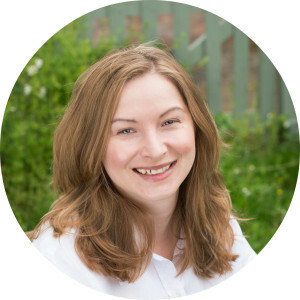 I’m not suggesting that you spam forums with your website links, but answering other people’s queries in your business niche, chatting to others and generally just being a nice person can all help to bring more people to your website. Most forums have profiles where you can add your signature, most facebook groups have specific days when you can share your latest offer, blog post or a service. If you are not sure where to start with facebook groups, I run ‘Healthy Business Spa’ and also Handmade Business Club. Both are free, but practical and fun at the same time. To drive more free traffic to your website I’d really recommend that you start learning about search engine optimisation. This is a huge topic, but it doesn’t have to be as scary as it might sound. SEO is about a way of getting organic traffic to your website and how you can make your website more visible within the search engine results. If you do this right it helps the search engines to match your website to the people who are looking for what you do. If you’re not doing SEO on your website you’re missing a trick, because it’s just simple things like putting in page titles and meta descriptions, describing your pictures and using keywords in the body of your text. SEO is a fairly complex subject, but I’ve written a few articles that will help you to get started – How to incorporate SEO in to your business and 10 tips on what works in SEO in 2016. 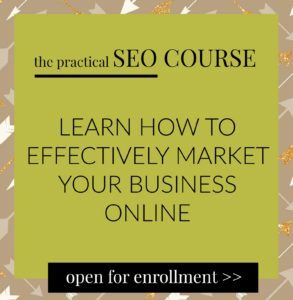 And if you want even more help with your SEO, you are also welcome to join my practical online SEO course, which is specifically designed for beginners. Research websites and blogs in your business niche (or the ones that compliment it) and see whether you would be able to write a guest blog post. Most website owners would require you to write unique content (ie. not previously published online) and the blog post is very likely to be ‘non-promotional’. It’s still a really good way to engage your target audience, show your expertise in front of a wider audience and most websites do allow you to include your contact details or link to your website in your article. If you are not too sure how to find such websites, Google is always my first point of call, then twitter (put #bloggerswanted in the search). If you are feeling super brave, you can also search for #journorequest and get in touch directly with any journalist wanting to write about your particular topic. Shhh, you’ve heard it here first, publicity is the new SEO! But back to earth, if you are looking for guest blogging, we are currently looking for lifestyle bloggers for WowThankYou and for creative bloggers on Handmade Business. You are welcome to get in touch here and I’ll send you all the details. And as ever, please do leave me your comments – I’d love to know what’s your favourite way of bringing free traffic to your website.